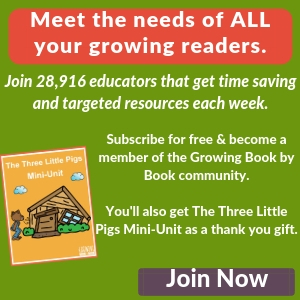 Are you looking for some fun books for kids? This month’s Virtual Book Club featured author is Nick Sharrat. He has written and co-written over 50 titles and has illustrated dozens more. We chose to feature The Foggy, Foggy Forest! The Foggy, Foggy Forest is printed on vellum pages to give it that foggy look. Behind each page you will find a different fairy tale character hiding in the foggy forest. Sharrat depicts each character as a silhouette on one page and then shows a full color image of the character on the next page. Very clever illustrating! After reading, we came up with a few fun literacy ideas using shadows. We hope you have as much fun as we did. We created our own book using vellum pages. 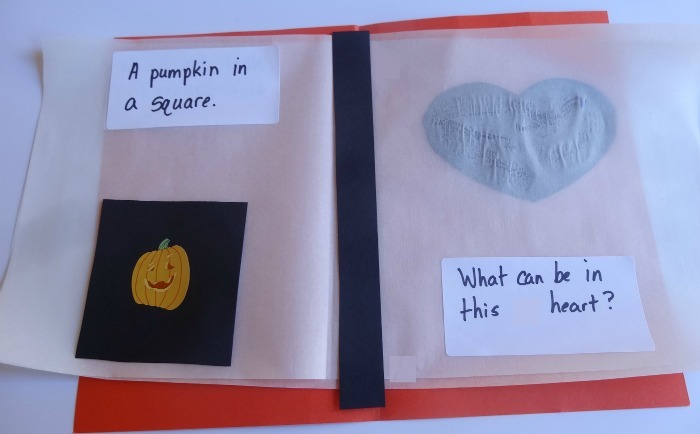 We used parchment paper for the pages, black construction paper shapes, labels to write the text, stickers of Halloween symbols and a construction paper cover. I assembled the pages and then my almost 3 year-old identified and glued down the shapes. 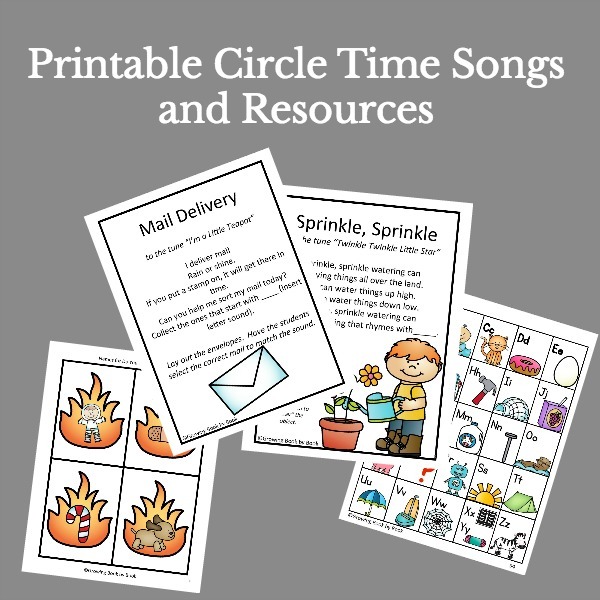 He loves stickers and was eager to place a sticker on the backside of each page in the shape. Finally, I wrote the text on labels and we stuck them on each page. We pressed the finished product under some heavy books to help everything stick. The next day, we had our very own foggy shape book! Ness from One Perfect Day has some great Halloween Shadow Puppets Templates on her blog that would be a perfect holiday compliment to The Foggy, Foggy Forest. Looking for more puppet ideas? You can also find lots more ideas on my Puppet Show Pinterest board! 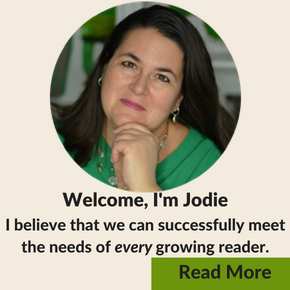 Please visit the other great bloggers below who are also featuring activities by this month’s featured author. And, if you have a Nick Sharrat book related activity, please link it below. This book looks genius! As are the accompanying activities! The Foggy Foggy Forest is one of my son’s very favorite books. I love your diy book with the vellum pages, I think we’ll try making one. Thanks so much for mentioning our shadow puppets! I love that you have a puppet show board. I’m off to check that out now. What a super fun idea. My hubby says that I could hide away in a room full of vellum paper and happily create away for days or weeks 🙂 Thank you for sharing your ideas with us all! That is so funny Jill! We even used vellum for our wedding invitations. Ooh! Maybe I should link up this month. 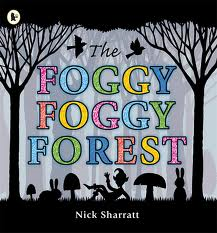 I’ve not joined in before because we really read a lot of Australian authors, but Nick Sharratt we love, especially Foggy Foggy Forest. I love the idea of making a book with the parchment paper. 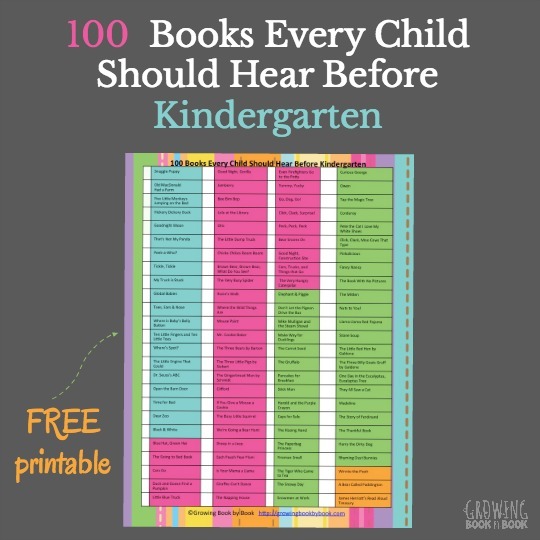 We did this same book as well! I love your ideas. I also like how we can use the same book but be totally different. I love your vellum paper ideas! What a cool book!